In recent weeks, we’ve mentioned the press corps’ failure to examine a ubiquitous GOP claim — a claim asserting the merits of letting consumers buy health insurance “across state lines.” On the various cable “news” channels, voters hear this proposal advanced again and again and again. ….The voters deserve to hear this explained. We have never seen this explained on cable, although we’ve endlessly heard the proposal. And we still haven’t seen this matter explained in a simple, “explainer” news report. For the most part, our big news orgs simply don’t explain things. In all candor, they rarely seem to know what sorts of claims are being made in the wider discourse. We’ll offer one further suggestion for any newspaper which might want to do an explainer piece — a piece which might be called, “Buying across state lines for [us] dummies.” On cable, Republicans and conservatives often draw a comparison between health insurance, which can’t be sold “across state liners,” and car insurance, which apparently can. Since voters constantly hear that refrain, an “explainer” piece ought to address it. Is it really true that no cable or major print outlet has ever addressed this? It might be! I don’t watch enough cable to know, and I don’t read every article in every major newspaper. But I confess that my memory says Bob is right: I don’t remember ever seeing this given any kind of serious treatment. The basic problem with this proposal, of course, is pretty simple. 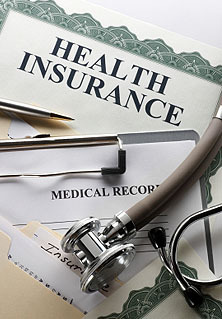 If you allow health insurance policies to be sold across state lines, states would start competing for insurance industry business by writing ever friendlier regulations. Eventually some small state will win this contest with an absurdly lax regulatory regime, and every insurance company in America will set up shop there. Essentially, the entire country would be forced to accept whatever pro-industry rules that, say, Wyoming decides to write for the rest of us. Do the citizens of all the other states really want to cede that power to Wyoming? As for car insurance, if you want to sell auto policies in California, you have to abide by California laws. Ditto for the other 49 states, regardless of where your company is actually located. So the comparison is bogus. Every state does have its own auto insurance regulations, just as they do in the health insurance arena. But a longer, more definitive explanation would be welcome. If Bob is right that no one has ever bothered to do this even though conservatives repeat this proposal regularly, maybe someone should think about taking a reporter or two off the CPAC beat and assigning them to this instead.